Part of the scheme for junction improvements at Peasholme Green Bridge over the River Foss involved renewing a section of river bank retaining wall and creating a new section of land to support the widened slip road to the new Foss bridge. 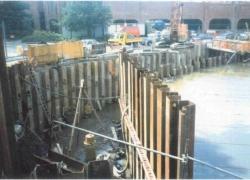 To enable this to happen sheet piling had to be secured along the bank, under difficult conditions and mechanical ground anchors were selected for their strength, reliability and instant loading capacity and because both supply and installation could be undertaken, at the right price, by WT companies under a single subcontract arrangement. Alfred McAlpine Construction first installed a row of sheet piles, some 2m from the existing bank retaining wall, which were tied across the river. 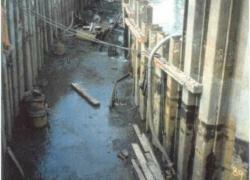 A second row of piles was installed behind the wall and the area between the two rows of piles pumped out to allow a 150m section of the wall to be cut away. 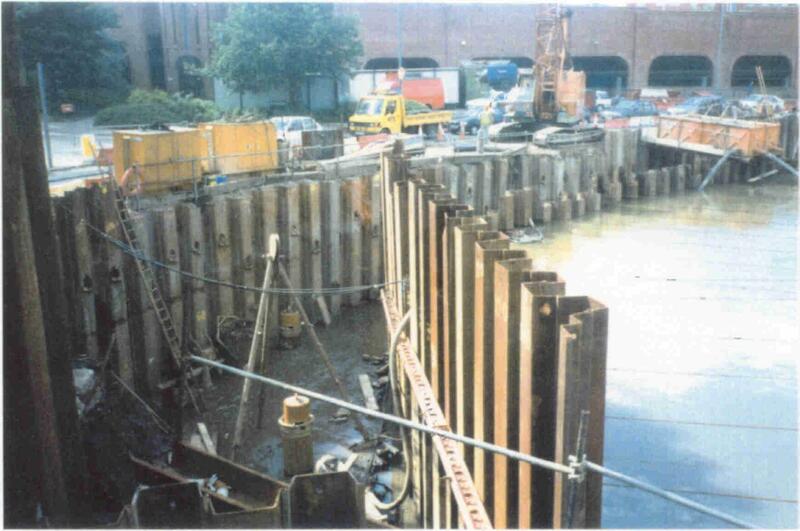 The landside piling then had to be anchored to allow a new retaining wall to be constructed and the section filled to support the widened slip road. 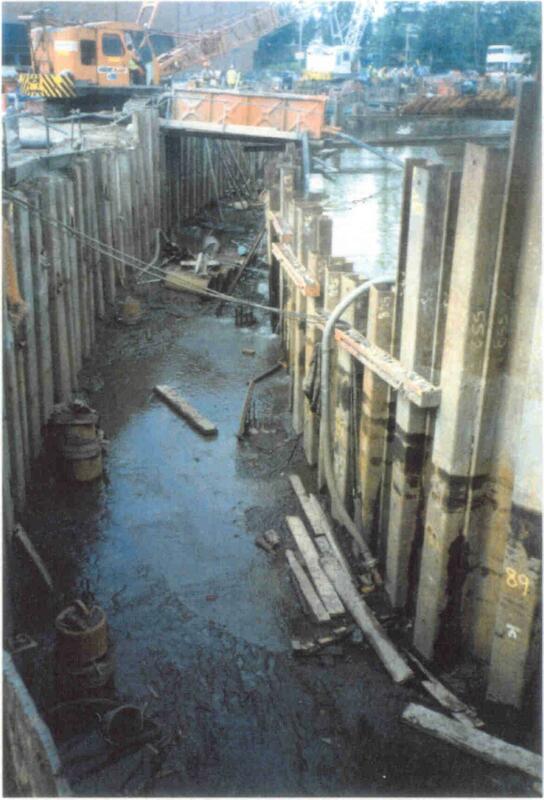 Operating on the soft silt in the narrow, wet area between the two sets of sheet piling, WT Specialist Contracts had to install the mechanical ground anchors at 450, making sure to avoid a main Victorian trunk sewer, to retain the sheet piling. With very limited access, WT used specialist equipment to drive the 6m long mechanical ground anchors with high yield bars into the soft clays and sandy gravels. After rapid proof loading to 110kN, each anchor was set at a working load of 50kN and terminated with an angled plate and load nut. Nearly 150 mechanical ground anchors were quickly and successfully installed and their ability to accept immediate working loads prevented any delays and ensured the smooth progress of the overall contract.